Hi!! I logged in just to thank you for this booster and also the AWESOME Colossus one. Thank you so much, X-men Legends 2 is my fav X-men game =) I would love to see your take on Jean Grey, Gambit or Rogue. Your boosts are so fresh!! Again, thank you. Have a great year. Both Bishop and Colossus have been updated. Unless there are bugs or they get new outfits in the comics, I don't plan to update them again until The Great Balancing Update (which I'll explain in my workbench eventually). For now, this is how they'll be. For them to be complete, you'll need to download my updated sharedtalents.engb file, which decreases the number of ranks per shared passive. This is the sharedtalents.engb file that I use for all of my boosters. It decreases the number of ranks for all of the shared passives. While it's not necessary, it completes my mods and boosters. Note: in order to make sure that characters with Might were able to use up all of their skill points, I added an extra dummy rank to Might. That rank changes nothing for the character other than being a placeholder, so there's no need to level it up all the way unless you get all the way to level 99 and need somewhere to put that last point. As for Colossus, his Metallurgy skill is also giving Radiation Resistance. According to your description it was only supposed to give resistance to Elemental, Mental and Energy. The description of Energy Resistance is always at "0%", regardless that, the effects still apply. As for Bishop, his Power Trip doesn't work, neither does his description when you put points in it. I just thought you'd like a feedback. Thanks for the great boosters! I’ll try to fix those ASAP. Siberian Express will stay though, as I personally enjoy it. What about Power Trip doesn’t work? 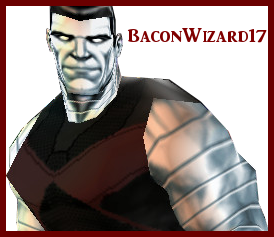 Though it all is up to BaconWizard, I'd like to point out that (to my knowledge) Colossus is supposed to be resistant or even immune to radiation damage, at least in his steel form. If not in the comics, at least in X-Men Legends canon because he's shown completely unharmed during a sequence in the first game at the nuclear power plant. Well, it doesn't add any resistance to Bishop. I put all 5 points and it didn't increase any resistances. Also, the description always stays at 0% whether you put 0, 1 or 5 points. Colossus and Bishop have been fixed. 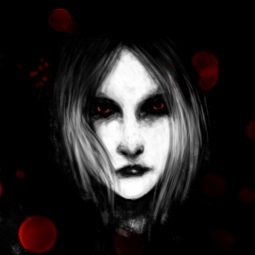 If there are any more problems, Please let me know, and I'll fix them!